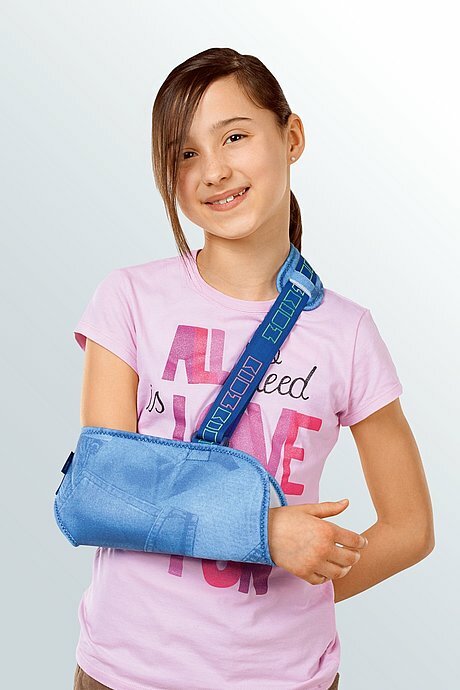 The medi Armschlinge Kidz is a shoulder joint support. The product is exclusively to be used for the orthotic fitting of the shoulder and only on intact skin. In the event of unexpected, excessive changes, e.g. an intensification of the symptoms, please take the product off immediately and contact your doctor or supplying dealer. Open the Velcro of the sleeve and lay the arm into the sling. Pull the shoulder belt across over the back, pull through the sleeve and secure with the Velcro fastener. Wrap the hip belt around and fasten with the Velcro strip. The sleeve can be adapted to fit all sizes, simply fold up and secure with Velcro tabs. A thumb sleeve can be ordered separately. 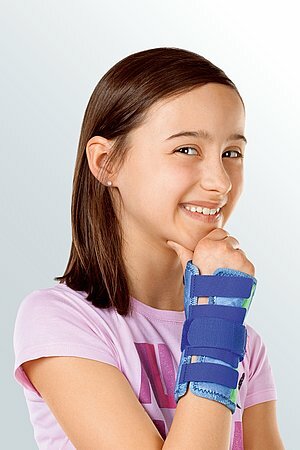 Please note that the first time you put the orthosis on you should be instructed by qualified personnel. Close the hook and loop fastener before washing. Soap residues can cause skin irritations material wear. Wash the product by hand, preferably using a medi clean detergent, or in delicate cycle at 30°C using a mild detergent without fabric conditioners. 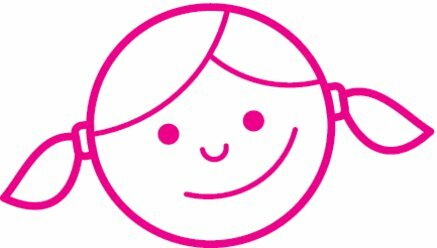 Orthopaedic products from medi especially for children. 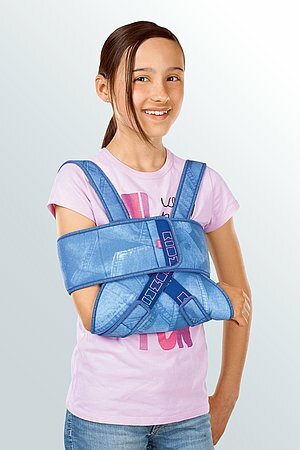 How to use our medi Armschlinge shoulder supports. Date of issue: until May 2017. 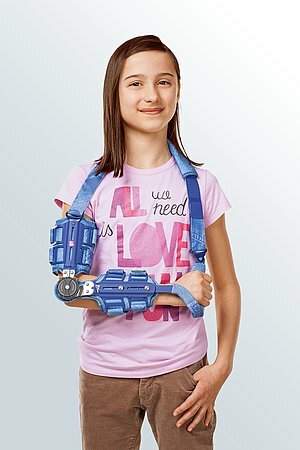 How to use our medi Armschlinge shoulder joint supports. Date of issue: until April 2018.